U.S.M.C. - FILBE compatible Hydration SystemOur Ultimate SOURCE M.C. Hydration System is designed to fit US Marine Corps FILBE gear. The 3L WXP is true low profile and features all the SOURCE Hydration advantages. 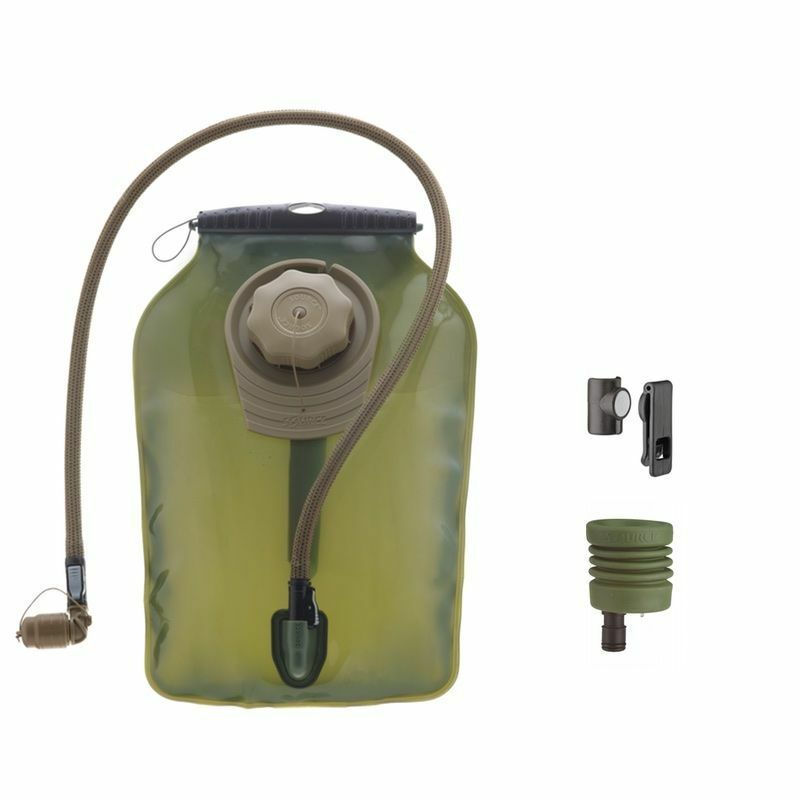 It comes with IRR Tube Cover, Dirt Shield Valve Cap, UTA Rapid Refill Adapter and Magnetic Clip.The high performance hydration reservoir is manufactured with our exclusive 3 layer coextruded Polyethylene with Taste-Free™, low maintenance, Glass-Like™ liner. Features Integrated Grunge-Guard™. Helix™ ValveHelix™ Valve features a rounded shape that requires no mouth orientation for easy use. A retreat spring mechanism allows soft bite as in single piece bite valve with leak proof capability that will not drip even under pressure or prolong use. Built-in "bio-net" style shut –off mechanism for no spill during transport.Angled Valve Turns 360 degrees for perfect valve/mouth orientation. Allows tube to be 25cm shorter. Less excess tube bouncing around on the chest!Dirt-Shield™ Protective Cover No more dragging in the dirt! Keeps valve free of dirt and protected during transport.